It was widely accepted by the residents of Duneen that, should a crime be committed and Sergeant Collins managed to apprehend the culprit, it would be very unlikely that the arrest had involved a pursuit on foot. People liked him well enough, and there was no name-calling as such, but it was still quite unsettling for the village that their safety depended on a man who broke into a sweat walking up for communion. This particular morning, however, nobody seemed overly concerned. Main Street, being the only street, contained most of the action. The village was still waiting for winter to arrive, and yet Susan Hickey looked like she was preparing for an Arctic expedition. She was huddled over awkwardly with a wire brush, trying to remove a few patches of rust from her gate. She was also keeping a silent tally of the wine bottles Brid Riordan was placing carefully into the recycling. Sixteen! Had the woman no shame? On the other side of the street, outside the pub, Cormac Byrne coughed up a very satisfying lump of phlegm and dispatched it through the air to land in the gutter. Over by the phone box, the dusty black and white collie dog that belonged to the Lyons from the garage looked up, satisfied himself that everything was as uninteresting as he had assumed and put his head back down between his paws. Outside O’Driscoll’s shop, post office, and café, the Garda car, sitting low over its tires, gave the impression of having been there for some time. In the driver’s seat, with his stomach wedged against the steering wheel, sat Sergeant Patrick James Collins. The names had been chosen because his mother’s father, Patrick, had died just six weeks before her son was born, and because his mother was a big fan of James Garner, the actor that starred in The Rockford Files. His father had provided the surname. In retrospect, the care put into his christening was misplaced, since everyone simply knew him as P. J.
P. J. Collins had not always been fat. On long summer evenings he had played with the other children in the lane at the back of his parents’ shop in Limerick. Kick the can, hide-and-seek, what time is it, Mr. Fox? The high-pitched laughter, accusations of cheating and occasional crying filled the still air of dusk until the clang of a colander or the sizzle of frying onions called them in for their dinner. He missed that feeling of just being one of the gang. He could hardly remember what it felt like not to be noticed or judged. Puberty had brought with it a combination of appetite and inertia that led to a thickening of the skin and the end of his days as one of the lads. He hadn’t needed his mother’s nagging to see what was happening, but somehow, despite constant private vows to get his weight under control, he just got bigger and bigger, until by the time he left school, he felt the task of slimming down was beyond him. Looking back, he could see that he had hidden behind his size and used it as an excuse so he didn’t have to compete in all the trials of adolescence. No need to summon up the courage to ask a girl out on a date, because which of the Margarets or Fionas with their long pale necks and shiny hair would want his warm clammy hands holding them on the dance floor? The other boys tried to outdo each other with fancy leather-soled shoes or bright stickers on their bikes, but P. J. knew that no matter what he did, he could never be cool. Being overweight hadn’t made him happy necessarily, but it had helped him avoid a great deal of heartache. It got him off the hook. Life as a guard suited P. J. The uniform and the car didn’t make him feel any more alien than he always had, and keeping a strict professional distance between himself and the neighbors he had to police was no great challenge for him. He stared out of the window at the long, slow hill that led the tourists’ cars on towards the coast and the beauty they had been promised. People didn’t stop in Duneen. In defense of the casual traveler, there was little reason why they should. There was nothing to make the village stand out from any other. Wedged into a gentle green valley, jagged terraces of two- and three-story buildings lined the road, painted long ago in the sort of pastel colors usually associated with baby clothes. At the bottom of Main Street there was an old bridge across the River Torne. Beyond that, the solid gray chapel kept watch on a small hill. No one living could recall a time when it had ever looked any different. Time didn’t pass in Duneen; it seeped away. A knock on the car window interrupted his violent reverie. It was Mrs. O’Driscoll herself from the shop. Normally it would be the daughter, Mairead, or the skinny Polish girl whose name he couldn’t remember but was too embarrassed to ask again. He turned the key, held the window button down, and cleared his throat. He hadn’t spoken since he said good-bye to Mrs. Meany at a quarter to nine. Mrs. O’Driscoll bared her small neat teeth and laughed. She was being kind, and yet all P. J. heard was a woman laughing at a man his size squeezed into the driver’s seat and reveling in her own slim figure. She held out the cup and saucer with its cloud of steam. Then her other arm shot out, thrusting a plate with a jam-covered scone up to his face. “You’re too good to me,” he said with a forced smile. Who knew a simple scone could provoke such a confusion of emotions? He felt patronized, angry, greedy, hungry, and defeated all at the same time. “Enjoy that now, and don’t worry, I’ll send Petra out in a minute for the plate. Sure you’ll make short work of it!” Another laugh and she scuttled across the footpath back into the shop. P. J. placed the cup and saucer on the passenger seat and picked up the scone. He forced himself to finish it in two bites rather than one and licked the smears of jam from the corners of his mouth. Plate down, saucer up, he took a slurp of tea. On the radio the presenter was asking movie trivia questions. Name the original Ghostbusters. Well, that’s not a hard one. Bill Murray, Dan Aykroyd, and . . . who was that other one? He shut his eyes to imagine the face of the actor but instead conjured up the grinning face of Emma Fitzmaurice. Ghostbusters had been their date. He felt the heat of embarrassment course through his body as if it were yesterday. His awkward attempt to angle himself in the small cinema seat so that he could try and put his arm behind her shoulders. The way she looked at him and laughed. No attempt to spare his feelings, just sheer derision. Why had she agreed to come with him? No matter how awkward or humiliating the “no” might have been, it would have been better than staring straight ahead at the screen trying not to cry while her shoulders shook beside him. He had never made that mistake again. Another knock at the window. He turned expecting to see . . . what the hell was her name? . . . but instead saw a face he didn’t recognize: a tall man in his late forties with weathered skin and a head shaved to mask the baldness that had come all too soon. He wore a bright yellow hi-vis jacket and carried a hard hat under his arm. P. J. assumed he must be working on the new housing development up behind the primary school. The window slid down. “Guard. The foreman sent me down to get you. We’re after finding something up above.” The builder waved his hand in the general direction of the school. P. J. remembered he was holding the cup and saucer, and of course there was the plate as well. This was awkward. It was not the slick sort of modern policeman he wanted to be. He hesitated for a moment and then reminded himself that he was a sergeant and this a mere laborer. He held out the crockery. The builder didn’t move. Was he going to say no? Was he simple? But then without speaking he took the items and headed into the shop, before returning and climbing into the passenger seat. Once inside the car, he seemed much larger than he had on the street. Their shoulders touched. As Sergeant Collins started the engine and put the car into reverse, he placed his hand behind the other seat so he could get a better look out the back window. The awkward maneuver, the physical proximity of another warm body: all at once he was back in the darkness of the cinema with Emma but this time, he thought, nobody was laughing. The car rolled backwards with a satisfying crunch of gravel, and then with a smooth change of gear moved quickly across the road and headed up the hill to the east of the village, past the school, towards what had once been the Burkes’ farm. Both Susan Hickey and the collie looked up as the Garda car vanished, leaving a cloud of ancient dust. Sergeant Collins let out an involuntary grunt. For some reason he felt good. He felt like a winner. "A wistful, atmospheric mystery . . . as this winning tale shows, sometimes things work themselves out in ways no one could have imagined." "A mystery laced with a sense of humor . . . yet the narrative also deepens into moments of unexpected sadness and insight . . . . A bright, quick-paced novel, especially inviting because of its tongue-in-cheek wit." "Thoroughly enjoyable . . . 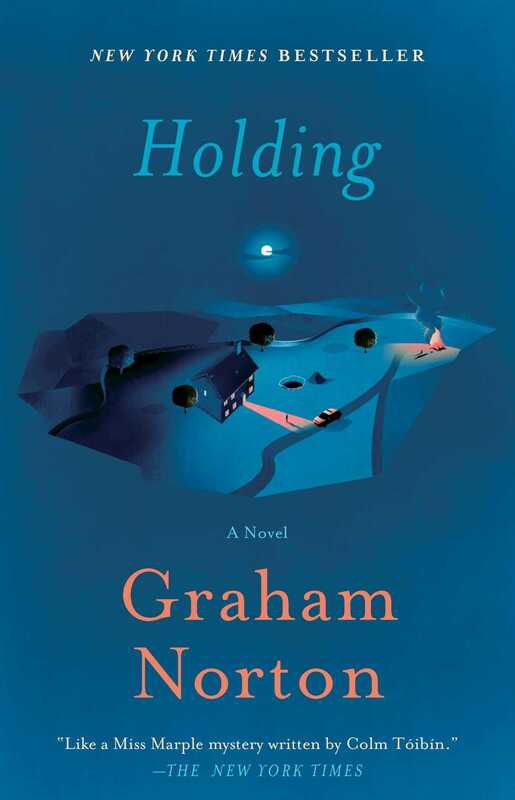 Fans of the cozy mysteries of Alan Bradley and Alexander McCall Smith will love this debut by THE GRAHAM NORTON SHOW star and clamor for more tales of Duneen." "The author uses his typically sharp and piercing sense of humor to breathe life into a multitude of delightful characters. . . . a charming debut novel." "It is beautiful and yet devastatingly sad." "An undercurrent of black comedy accompanies the ripples that ensue - but with a pathos that makes this deftly plotted story as moving as it is compelling."